No fewer than 440,000 candidates have sat for the 2017 Unified Tertiary Matriculation Examinations within two days across the country. The Registrar, Joint Admissions and Matriculation Board (JAMB), Prof. Is’haq Oloyede made this known in Abuja on Monday during a tour of the examination centres in the Federal Capital Territory (FCT). 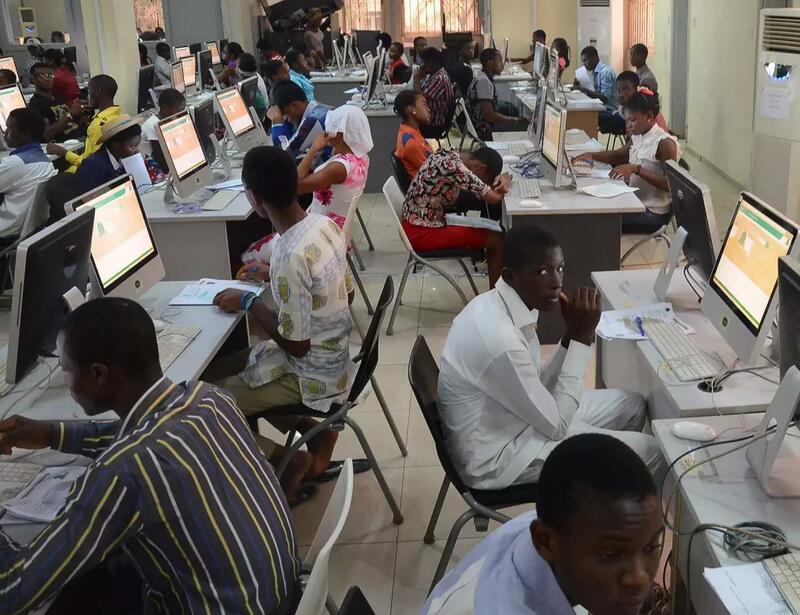 Oloyede said that the exams would end in Bauchi, Abia, Niger states and some other states on May 15 while the UTME would continue in Kebbi state, Lagos state, Oyo and some other states. He also said that some centres in Delta state were underutilised, adding that the Board would fully involved the centres in future exams. He called on candidates to avoid being exploited by unscrupulous persons in the name of getting exam questions for them. He said that a case of a person who attacked JAMB officials in Abia state had been reported to the security personnel. “I believe everything is going on well. We are monitoring the situation except for a person that was said to have attacked our staff in Abia state this morning. “Candidates should be careful because some of these people go about telling the candidates they can give them questions. “We are therefore appealing to people to do everything according to the law and avoid cutting corners with JAMB,’’ he said. On the recent industrial action at the Ladoke Akintola University of Technology, Ogbomosho, Oyo State, Oloyede said there was preparation to move the candidates to the University of Ilorin for their exams. “We understand that there is a sort of strike by either staff or students in Lautech and two of our centres are in that school. “However, arrangement are being made already to transfer the students because there are no private CBT centres in Ogbomosho and the closest place is Ilorin because of the proximity. Oloyede also condemned the incessant strike in Nigerian Universities, saying that the acts could destroy the future of the country and citizens. He added that unions were free to disagree with the government but not at the detriment of students. “Anybody who loves this country and education will be against incessant strike. “I don’t mean government should take academic staff or non academic staff for granted but it means we should find a way of solving our crisis not at the expense of the innocent ones,” Oloyede said. Meanwhile, the Minister of State for Education, Prof. Anthony Anwukah, who was also on exams monitoring, applauded the board for smooth conduct of the exams. Anwukah, however, urged candidates to put more effort in order to succeed in the examination. Centres visited within the territory are Digital Bridge Institute, Global Learning Institute, Sascon International School and the JAMB headquarters centre. What i would like to know is if these exams count toward university entrance.Peter Carlos Hinds.Barbados. It is sad to see that FOX news is embracing antiroyal terrorist elements.We already have an antiroyal miss America.Should FOX and the Mrs Universe pagent be used to promote antimonarchy militant propaganda.Perhaps those for the monarchy should boycott both the FOX name and the Mrs universe pagent.We have seen what terrorists have done in Europe.Stay away from terrorists who are bent on ending the monarchy.And overthrowing the British government.Peter Carlos Hinds.Barbados.